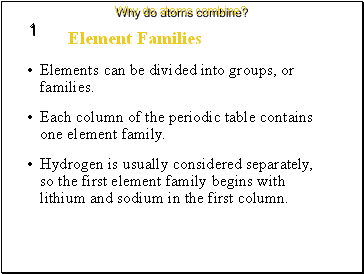 Elements can be divided into groups, or families. Each column of the periodic table contains one element family. Hydrogen is usually considered separately, so the first element family begins with lithium and sodium in the first column. 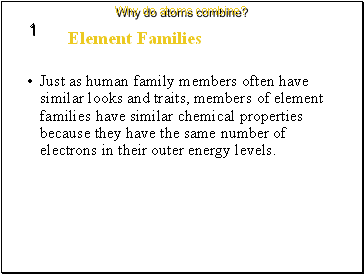 Just as human family members often have similar looks and traits, members of element families have similar chemical properties because they have the same number of electrons in their outer energy levels. 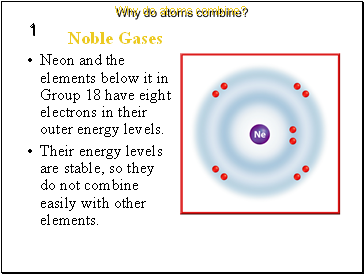 Neon and the elements below it in Group 18 have eight electrons in their outer energy levels. Their energy levels are stable, so they do not combine easily with other elements. At one time these elements were thought to be completely unreactive, and therefore became known as the inert gases. 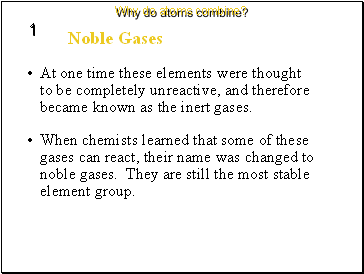 When chemists learned that some of these gases can react, their name was changed to noble gases. They are still the most stable element group. 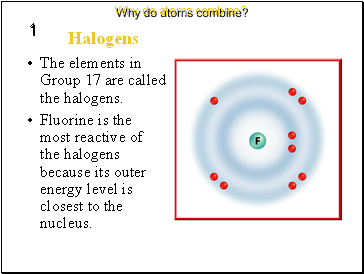 The elements in Group 17 are called the halogens. Fluorine is the most reactive of the halogens because its outer energy level is closest to the nucleus. 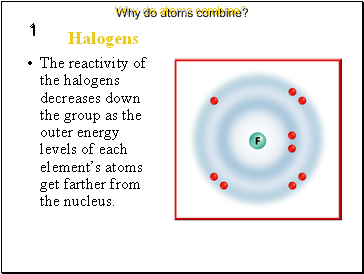 The reactivity of the halogens decreases down the group as the outer energy levels of each element’s atoms get farther from the nucleus. The alkali metals form compounds that are similar to each other. 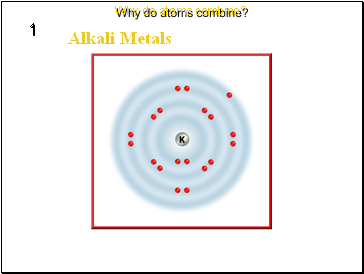 Alkali metals each have one outer energy level electron. 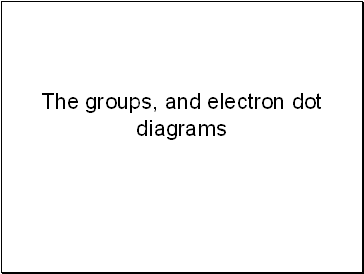 It is this electron that is removed when alkali metals react. 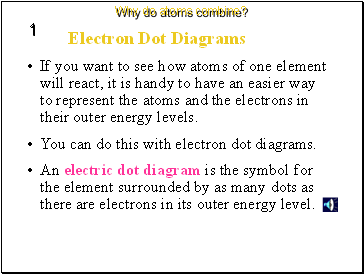 The easier it is to remove an electron, the more reactive the atom is. 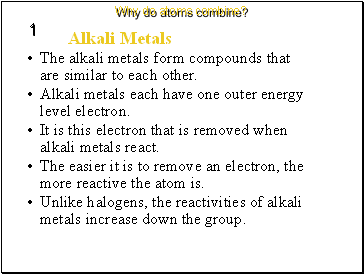 Unlike halogens, the reactivities of alkali metals increase down the group.